The Glenmorangie Private Edition collection has seen different and unique expressions over the years - all driven by Dr Bill Lumsden's insatiable desire and curiosity to discover new flavours and ways of doing things. There have been a many excellent creations in the collection, with each creation uniquely derived through variation in the distillation or maturation process; be it barley type (Tùsail), wood type (Ealanta), composition (Artein, Finealta), rare wood finish (Sonnalta, Companta) and re-creation of a childhood dream (Milsean). That's right, Milsean was last year's Private Edition release and one that saw Dr Bill Lumsden compared to the likes of Willy Wonka (in my view anyway) as he strived to recreate the experience of being in a lolly shop surrounded by all those jolly good sweet things. 2017 sees a new Private Edition bottling release from Glenmorangie. The Glenmorangie Bacalta drew its inspiration from the Mediterranean island of Madeira, commonly known for its Madeira wines. Bacalta (Gaelic for "baked") is a reference to the the maturation technique used for producing Madeira wine, where the barrelled wine is heat matured over a period of time to oxidise the wine and build up its flavour profile. The heat maturation process can take years and involves storing the barrels in the roof/attic of the vineyard where it can get quite toasty, especially in the Mediterranean. Dr Bill Lumsden and Brendan McCarron shared some details of the Bacalta journey at the launch, which was held at The Old Clare Hotel, with Dr Bill and Brendan joining us virtually via Google Hangout. Times have certainly changed when you can have simultaneous global launch events with the one and only Dr Bill at Glasgow. Us folks in Sydney were joined by the folks in Mumbai and Seoul and there were likely other sessions rolling in straight after us. The Bacalta journey started around seven to eight years ago when the first challenge was making a decision around what barrel structure would be used. The decision was made to go with a 250 litre American Oak hogshead barrel - a relatively small barrel size that can nicely influence any whisky through shorter wood contact time. Once Speyside Cooperage had managed to put together enough hogshead barrels, the subsequent challenge was in finding a Madeira wine producer that would "get in bed" with Dr Bill (in his words) - i.e. producer that would use and return his barrels for subsequent use. It eventually happened and a Madeira wine producer agreed to season the hogsheads with its Malmsey Madeira wine, a rich and punchy Madeira wine, as compared with other types of Madeira wine. The barrels were then baked, emptied before being re-toasted and filled with Glenmorangie Original in preparation for Bacalta. Dr Bill described the extra maturation process as a rather delicate process that involved sampling the expression quarterly after the first eight months, until it was apparent to him and the team that the whisky had struck the right balance of flavours. The Bacalta is bottled at 46% ABV and is non chill-filtered. This is certainly not the first time Madeira casks have been used for finishing, as we've seen both Kilchoman and Glenfiddich use Madeira casks for their Kilchoman Madeira Cask and Glenfiddich Age of Discovery Madeira Cask Finish expressions, both of which are well regarded. 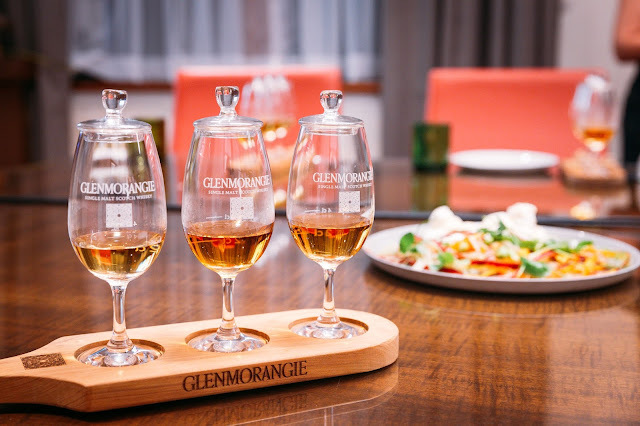 The Glenmorangie Bacalta has been delicately planned, with everything from barrel structure to maturation process systematically thought out by Dr Bill and his team. So how does the Glenmorangie Bacalta stack up as a new joiner to the Glenmorangie Private Edition collection? Another stellar Private Edition creation that is enjoyable to drink for any occasion with its inherent sweet, floral and creamy notes. Nose: Floral notes fill the initial nosing followed by notes of vanilla essence, honey, orange marmalade, sweet milk bread (few individuals around the table noted brioche), stone fruit and a hint of peppermint or menthol. 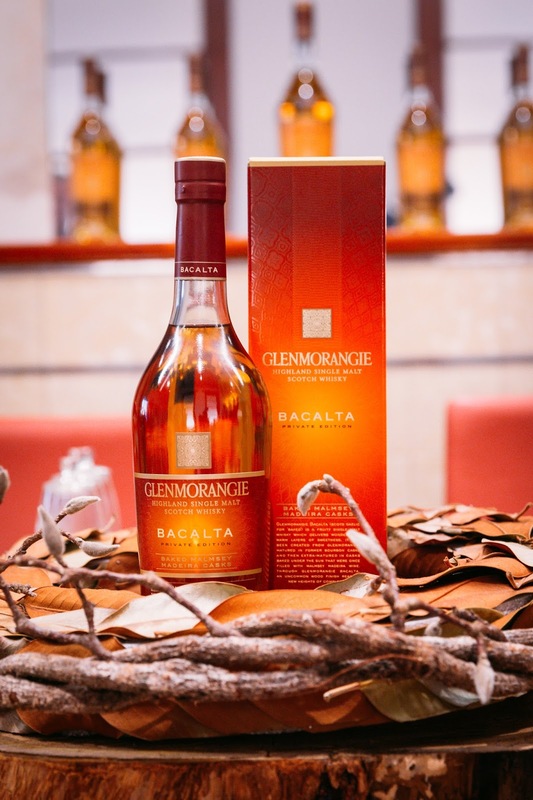 Palate: The palate is absolutely rich, velvety and divine, it is creamy with the notable Glenmorangie citrus notes coming through; orange peel, charred lemon followed by some vanilla stone fruit (fig) notes. Rating (on my very non-scientific scale): 92/100. The first Private Edition release I tasted was not too long ago with the Túsail, followed by last year's Milsean and I have to say year to year, Glenmorangie has gone from strength to strength. The Bacalta continues that trend, being as delicious as last year's Milsean (if not more so), and certainly on par with my favourite core range Glenmorangie, Quinta Ruban. A special thanks to EVH and the Moët-Hennessy team for having us at the Bacalta launch event with virtual Dr Bill Lumsden in Sydney.